Hand Therapy Awareness Week is 1st June to 7th June, 2015. This week concentrates on promoting the benefits of Hand Therapy which is the specialized treatment of hand and wrist injuries. 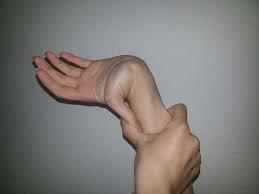 Hand therapy is about rehabilitation from the shoulder right through to the hand. The most common injuries come from blunt trauma, followed by sharp trauma. Our upper limb is very intricate in design and function and the potential for injury that leads to serious disability is very high. It’s vital that injuries of this part of our body be taken seriously and attended to by a skilled professional in a timely manner to avoid any long-term effects. With 27 bones and associated nerves, arteries, veins, muscles, tendons, ligaments and cartilage, the potential for injury is high. Nicola Cook, is our Specialist Hand Therapist, and is more than happy to chat with you to help you understand the benefits of Hand Physiotherapy and advise whether it would be of benefit to your condition. Click here for more information on Nicola Cook. Click here for more information on Australian Hand Therapy Association. Click here for more information on Hand Conditions.